Now there’s a ten-dollar word for you. Fiduciary describes a relationship of trust and confidence wherein the fiduciary must act in a manner that looks after the best interests of a beneficiary. Fiduciary obligations are intended to protect the more vulnerable party in relationships involving a high degree of confidentiality and trust. 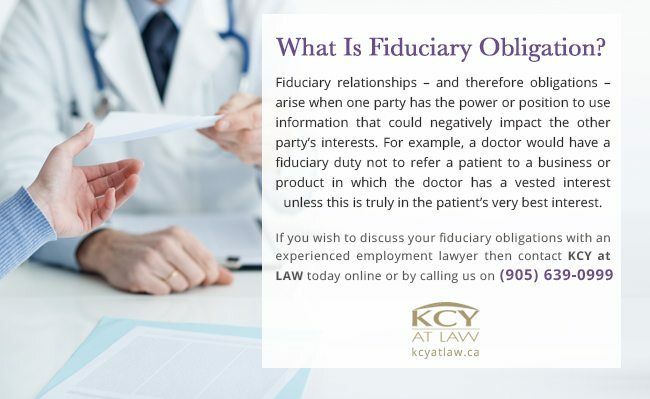 Common examples of fiduciary relationships include doctor-patient, lawyer-client, employer-employee. Fiduciary relationships – and therefore obligations – arise when one party has the power or position to use information that could negatively impact the other party’s interests. For example, a doctor would have a fiduciary duty not to refer a patient to a business or product in which the doctor has a vested interest unless this is truly in the patient’s very best interest. Breach of this duty is considered a serious violation of the law and any losses incurred by the beneficiary must therefore be compensated. The fiduciary has scope for the exercise of some discretion or power. The fiduciary can unilaterally exercise that power or discretion so as to affect the beneficiary’s legal or practical interest. Fiduciary obligations are meant to prevent conflicts of interest in employer-employee relationships. Both employers and employees can have this obligation towards the other. Fiduciary obligations are implied, if not explicitly written, in employment contracts. They are often written into contracts as restrictive covenants that prohibit former employees from competing with their former employer. The issue of fiduciary obligations often comes up after an employee has left a company or organization. The 2012 case of GasTOPS Ltd. v Forsyth provides an excellent example of the fiduciary duty employees owe to their former employers. After all resigning from GasTOPS Ltd. – an industry leader of engine condition-based maintenance – with minimal notice, four employees formed their own competing company MxI. These MxI founders had been the core programs designers of GasTOPS’ technology products and were part of the company’s senior management. At the time they set up MxI, they were fully aware of GasTOPS range of products, business plan and proposals to potential customers. Within months of founding MxI, several other GasTOPS employees left to join the business, suggesting that the defendants had planned their exit from GasTOPS and establishment of a competing software development company for some time. 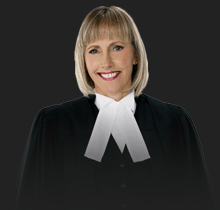 The trial judge determined that the defendants knew that their departure would leave GasTOPS unable to fulfil its existing contracts or pursue new ones. Furthermore, he determined that MxI pursued nearly all of GasTOPS current and potential customers using private business and technological information to which they were privy as GasTOPS employees. GasTOPS was awarded over $20 million for MxI’s breach of its fiduciary obligation. 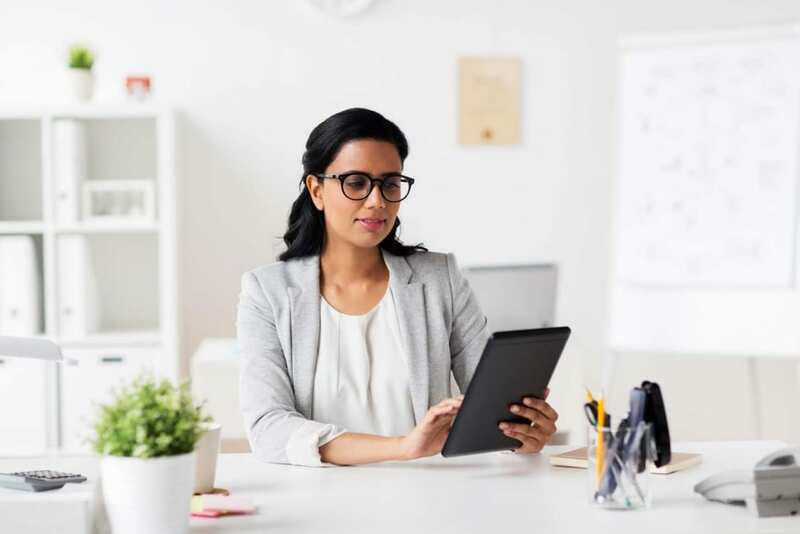 Restrictive covenants and fiduciary obligations aren’t meant to prevent employees from starting new or competing businesses altogether. Indeed, courts do not look generously upon overreaching restrictive covenants as they can inhibit fair and open competition. However, former employees must take care when founding a business in direct competition with their former employer. 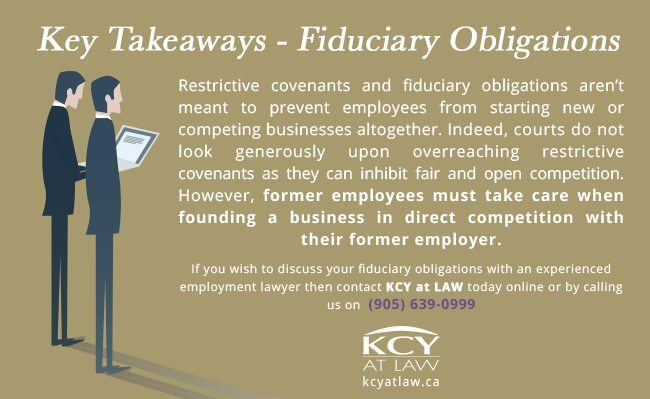 If you wish to discuss your fiduciary obligations with an experienced employment lawyer and understand what they mean for your business, contact KCY at LAW today online or call us on (905) 639-0999.